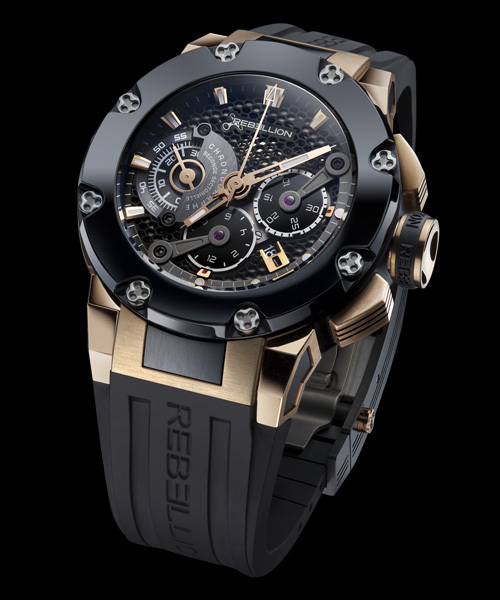 Launched in 2008, Rebellion is a young and audacious independent Swiss high-end watch brand, based in Lonay, on the shores of Lake Geneva. 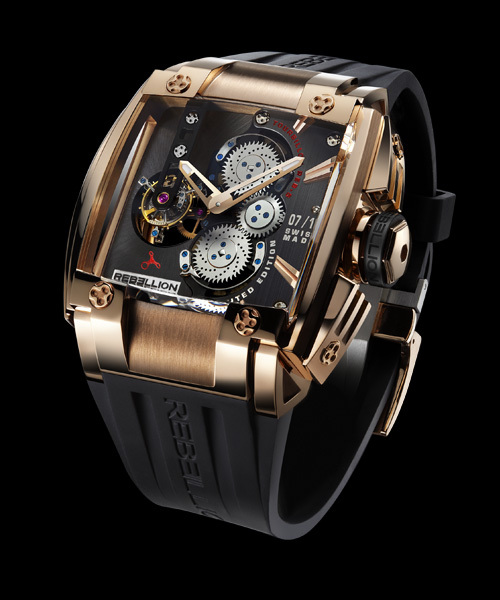 Rebellion’s timepieces are crafted in extremely limited quantities, with precision-engineered cases and exclusive movements. All of Rebellion’s research, development, and production takes place in Switzerland, where the very highest standards are both demanded and obtained. 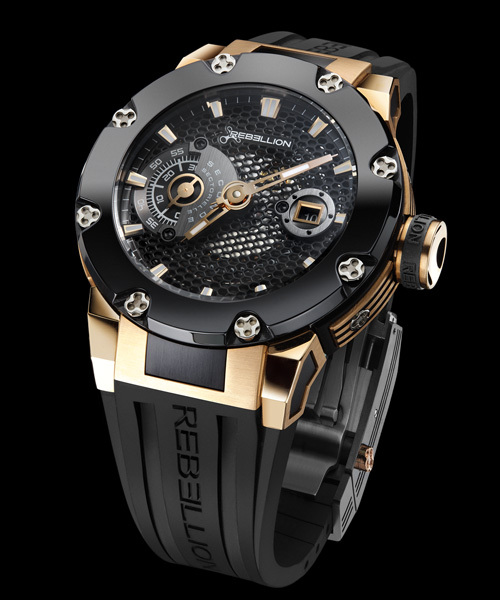 Rebellion blends highly sophisticated technical know-how, including high-tech precision lasers, with an uncompromising approach to quality. 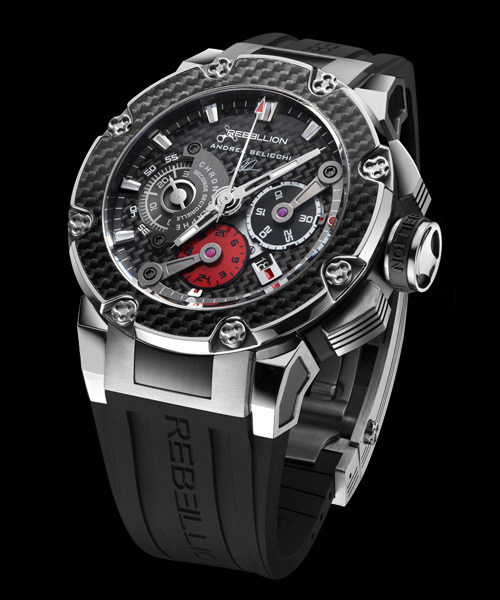 Rebellion creates trends it doesn’t follow them and their timepieces are for those who demand a very exclusive, high quality, high-tech wristwatch. 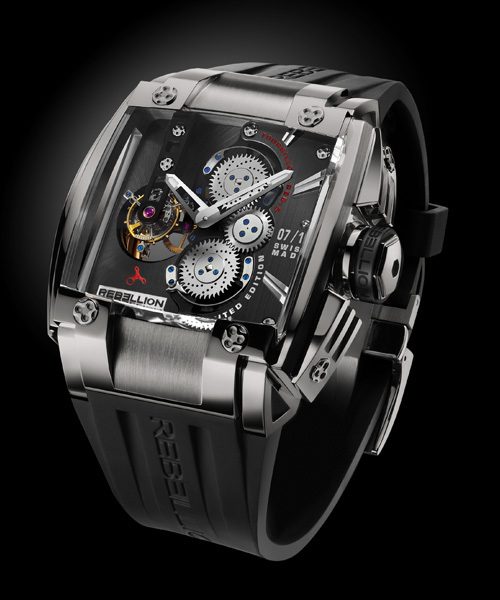 Generating deep emotion, Rebellion’s exclusive and ageless watches provide a sophisticated and powerful contemporary identity for today’s dynamic generation. Rebellion is geared toward the fiercest of individualists.